I am an Interdisciplinary Artist working primarily in Painting, Ceramics, and Sound. 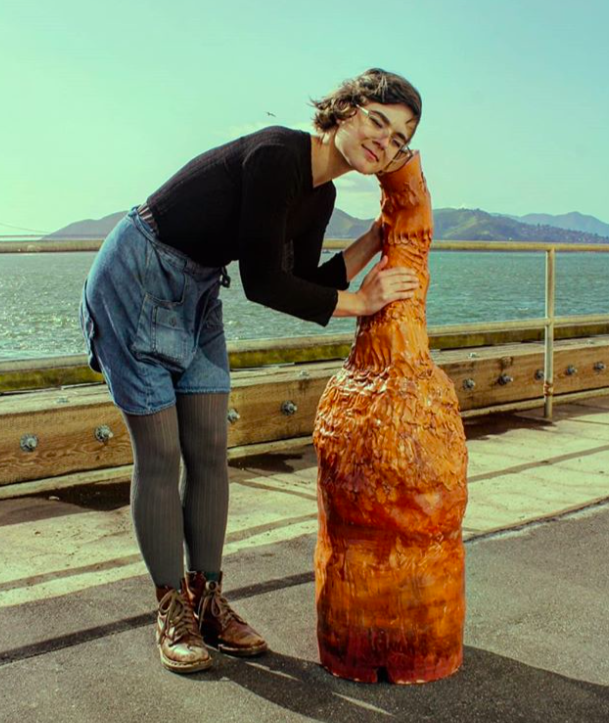 I completed an MFA in Studio Arts at the San Francisco Art Institute, a BFA in Painting and Art-education from the University of Georgia, and currently facilitate clay programming at the Denver Children’s Museum. Through intuitive processes of painting, ceramics, and sound, I invent narratives of diverse ecosystems coping within sublime complexity. The improvisational practice of transforming material into landscape creates spaces that appear prehistoric and futuristic simultaneously. These imagined worlds explore the tension between cumulative ecological mistreatment and unseen realms. My interdisciplinary work collects inspiration from local biodiversity and its intersections. I’m interested in the complexity of living beings who require defense mechanisms, membranes, and extensions of themselves for communication and safety. In all of my works, communities of diverse forms populate and interact within layers of toxic residue. These environments emerge through response and collaboration with the materiality of paint and clay, creating a conduit of engagement between the familiar and the unseen. The organic forms found in my materials transform into narratives about interconnecting systems. The cyclical plumbing of our earth is churning with life and energy, and an inevitable unknown. My experimental process inspires new explorations across forms. From pictorial representations of imagined worlds, to immersive sculptural installations, art-works act as vessels for the voice of something wild, unknowable, and transforming. In my paintings, washes of color function as emotional space. In my sculptural installations, I use ambient soundscapes to activate the spaces in between. Filling spaces with feelings creates a cathartic channel for myself and the viewer, breathing in-and-out of a feedback loop of existence within an ecosystem.